To celebrate International Women’s Day, Brussels Airlines operated an all-women crew flight from Brussels to Accra, where Women’s Day is widely celebrated. The flight was a symbolic action to strive for more equality. On March 8, flight SN289 with a 100% female crew took flight to Accra (Ghana), where both the Brussels Airlines country manager and station manager are women. In the cockpit was Captain Daniela and First Officer Marie. The service in the cabin was managed by Veronique, Patty, Xandra, Isabelle, Maité, Ingrid, Caroline and Peggy. With this symbolic flight, the airline wants to help strive for a more gender-inclusive world-also in Africa, the continent that the airline considers its second home. 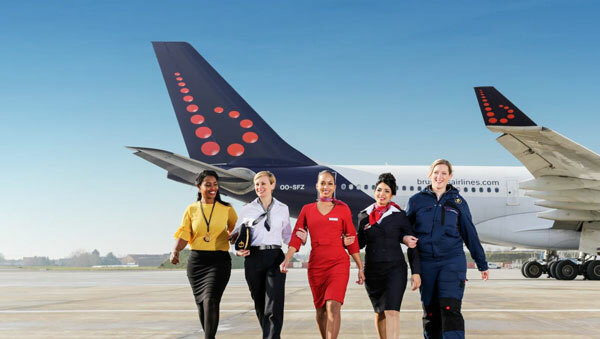 “It is very important to us that Brussels Airlines contributes to the International Women’s Day with this symbolic flight. Especially here in Africa, where women play an ever more significant role in pushing the continent forward,” said Rita Macedo, country manager, Brussels Airlines in Ghana. With female co-workers on all levels and in every department, including HR, Marketing, Ground Operations, Aircraft Maintenance, Cabin Crew and support services, the majority of Brussels Airlines’ workforce is female (51.6%). At 10%, the airline’s percentage of female pilots is one of the highest in the aviation industry, where the global average is just over 3%. Brussels Airlines flight SN2579 was led by Captain Sofie and First Officer Marie-Aude. Purser Liesbeth taking care of the service in the cabin together with cabin crew members Kaya and Gillie.